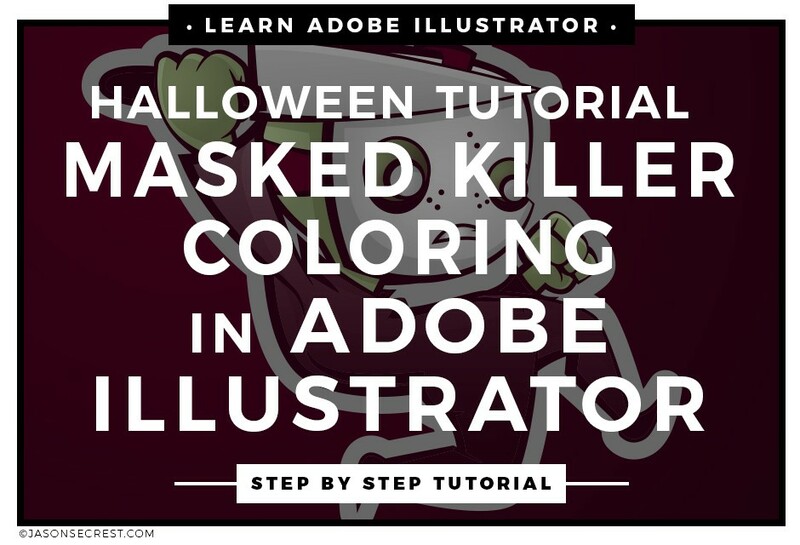 Adobe Illustrator Halloween Tutorial using the pen tool along with our anchor point guides. 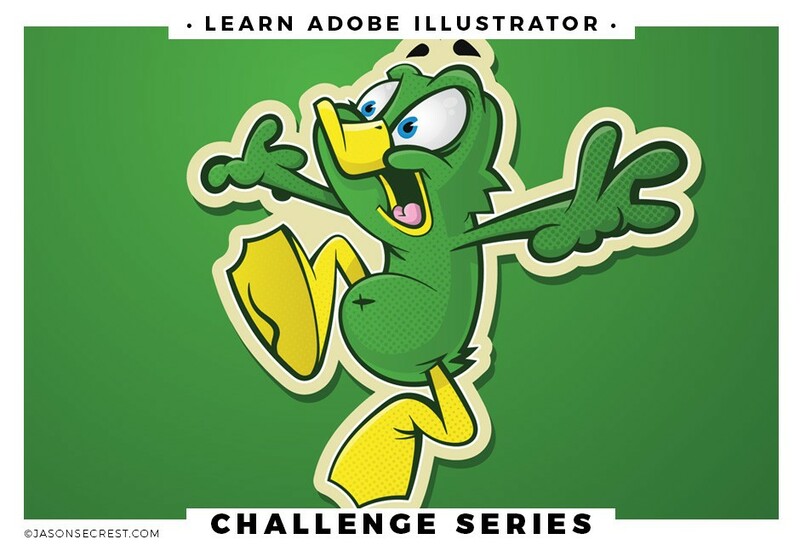 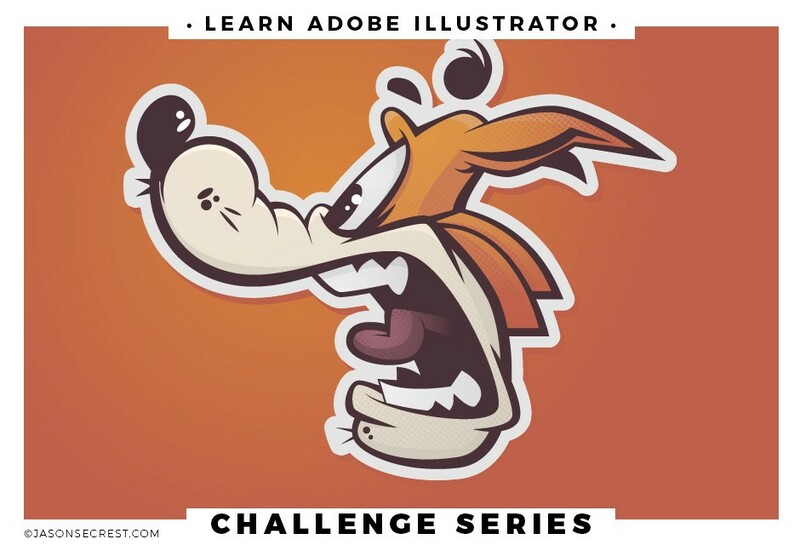 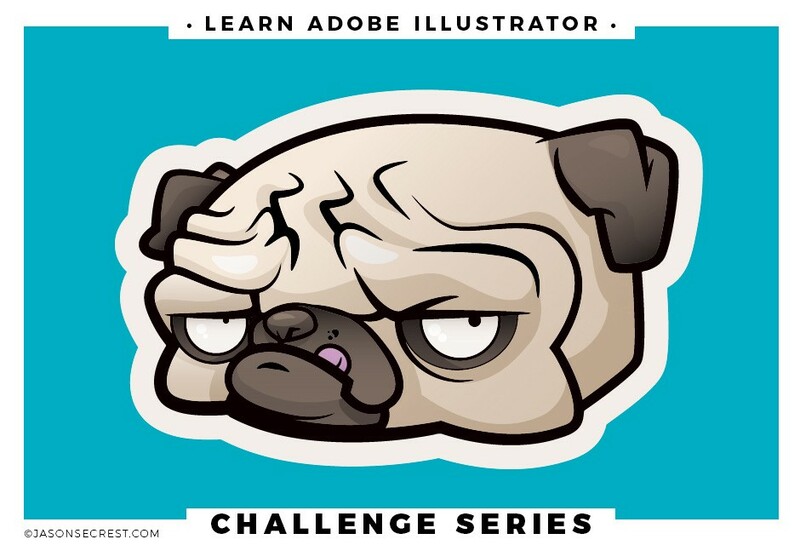 In this beginner Adobe Illustrator CC pen tool tutorial we will be going through a simple process of inking using the pen and shape tools. 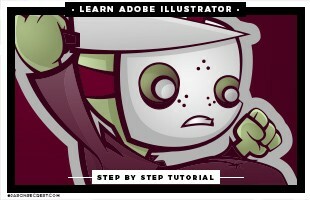 We will be using a new tool to clean up our overlapped brush strokes. 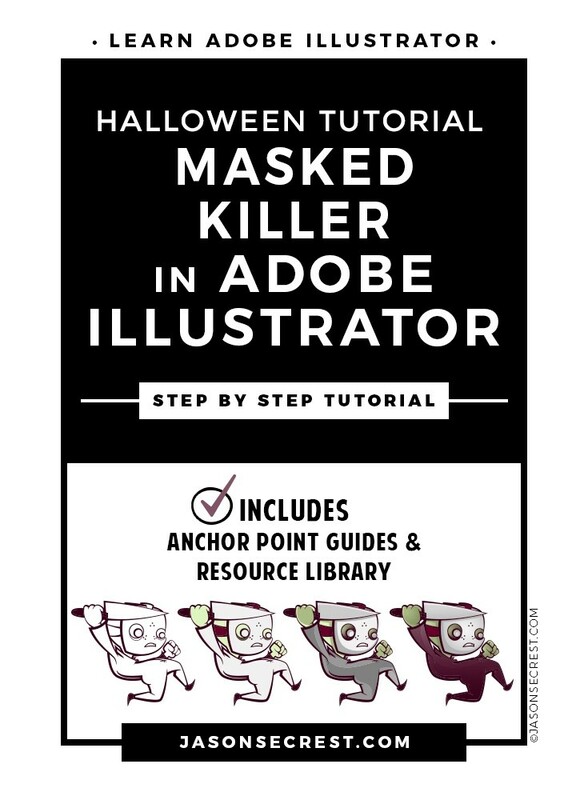 We will finish up this little masked killer character using the knife and pathfinder to create highlights and shadows along with transparent gradients.